Five engineering students in their senior year at Grand Valley State University have won the GVSU 2014 Outstanding Senior Project Award for their work on the design of SILiX (System Integration Lab running LinuX). The project was sponsored by DornerWorks, Ltd. This award is given to the team that the GVSU faculty believes represents the best senior project in terms of technical challenges overcome, teamwork, and effort. The student team was composed of Brian Collins, Kurtis Bell, Jaime Lightfoot, Ivan Malinov, and Ryan Orzechowski. The SILiX senior project was designed to be a modular, extensible test platform to aid in the development of embedded systems projects at DornerWorks across a range of industries. 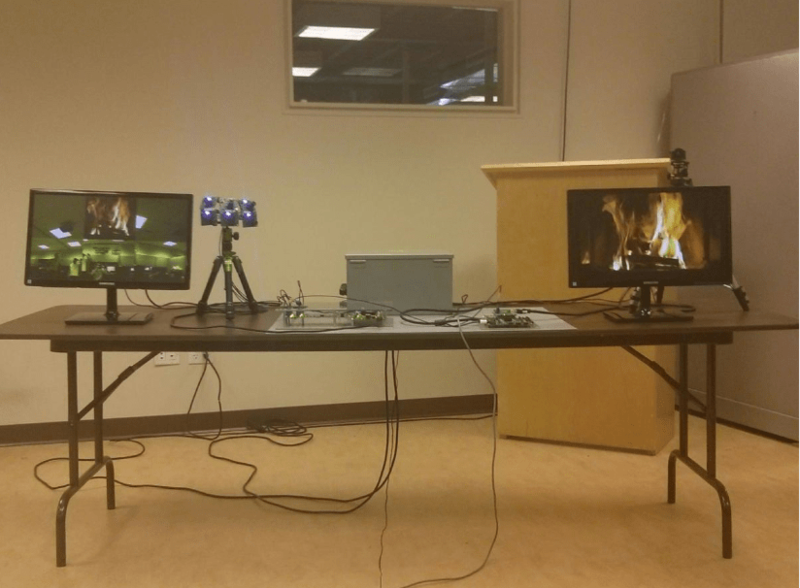 It presented challenging design problems including high-speed hardware, a PC application, embedded software design using Linux, and high-definition video processing on an FPGA. The SILiX project provides an inexpensive, portable, and flexible solution to DornerWorks’ testing needs. It is a hardware and software test-bench that uses an FPGA development kit and custom daughter card, as well as supporting software, to test a variety of embedded systems projects, with an emphasis on video-related projects. It provides I/O stimuli to a Device Under Test (DUT) and allows the user to interpret the DUT data response to determine if a test passed or failed. The SILix is capable of recording and playback of communication data and high-definition video. Supported interfaces include I2C, USB, GPIO, FPD-Link III High Definition Video, and Camera Link High Definition Video. The team designed VHDL for the FPGA device to provide video processing capabilities for high definition video, including chroma resampling, RGB to YCrCb conversion, Bayer filtering, and the generation of timing signals. These capabilities, as well as the capabilities of hardware, are controlled via software on an ARM processor.